Keeping our clients productive is one of our keys to success. 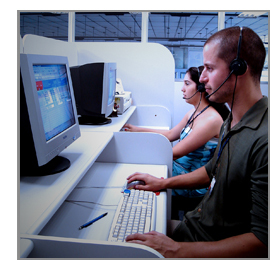 Whether self-guided through our online help system or assisted by ourTechnical Support Team, Terralink Systems, Inc. is committed to providing the highest level of technical support for our growing client base. In fact, it is our goal to follow up on all client support inquiries within one hour and to complete all resolvable client requests on the same business day. As part of the client services department, our Technical Support department is also available for upgrade and implementation consultation, hardware and printer recommendations, and suggestions for future product development. These and other great benefits (like free product updates) are included in our comprehensive service and support agreements. You can e-mail us through our support request form or by using the contact information below.